The columns used within this range of Enlargers are of the lathe bed construction type. A simple conception, precision engineered and cast from the highest grade aluminium which is left to age prior to any engineering work. 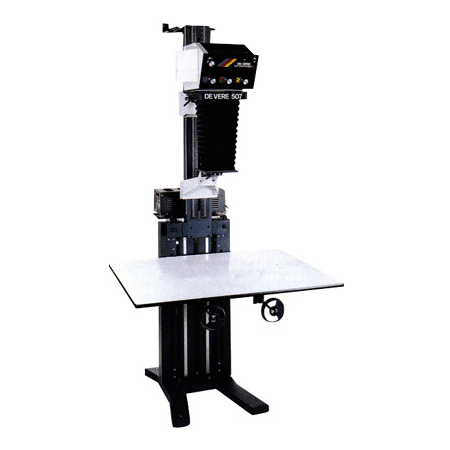 The carrier will accommodate a negative size of 5″x4″. With quality machined negative masks, reduced negative sizes can be used. A registration carrier is also available. Non Reflective Stainless Steel V guides are used to give years of precise operation both the lens and head runners of the Enlargers. 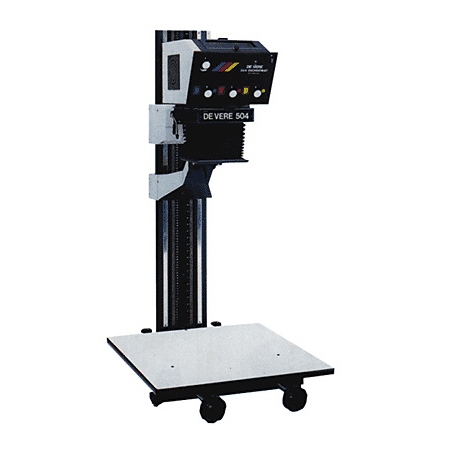 Easy read scales in centimetres and inches are attached to the column. 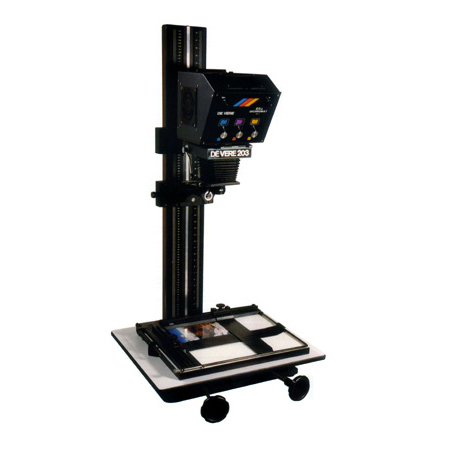 On all models, correction tilts to negative and lens stages are fitted. The tilts are on the optical axis so there is no moving one stage and re-correcting the other. Axial tilts from Horizontal – Neg. 11% Lens 18% one revolution. A single lever locks each movement, which is click centralised. 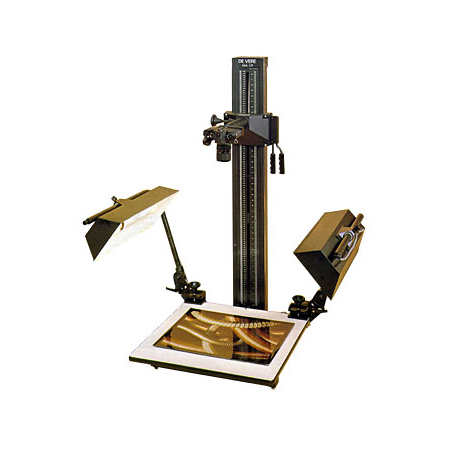 The De Vere 504 Vertical Enlarger System accepts all negative sizes from 110 to 5″x 4″ and fulfils all requirements of a busy photographic technician for reliable, fast and accurate results.